Looking to get involved on campus, Samantha Grgas attended the Student Organization Fair during her first year at Alfred University. 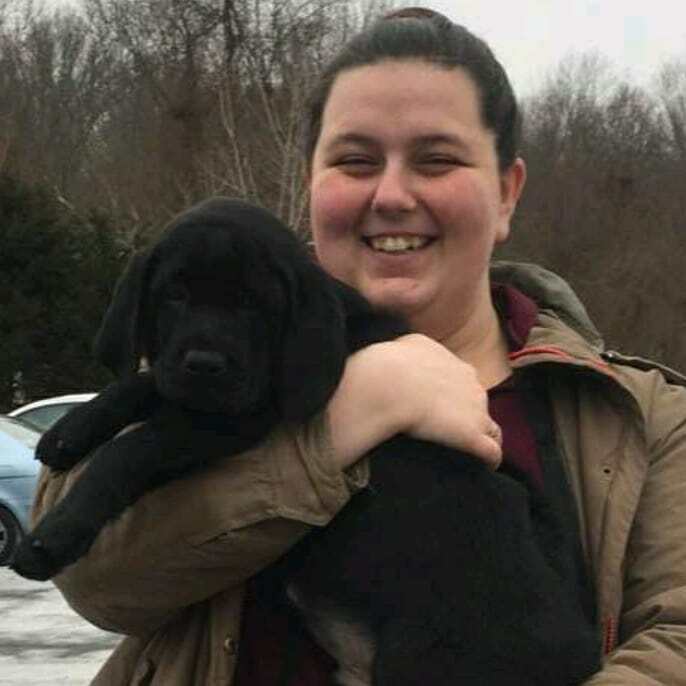 Sam has been a lifelong animal lover, and when she spotted “Guiding Eyes,” an organization which trains seeing-eye dogs for persons with vision impairment, she knew she had found her niche. She is already completing training for her second dog, an enthusiastic black lab named “Chet.” Chet is well on his way to becoming a great seeing-eye dog. 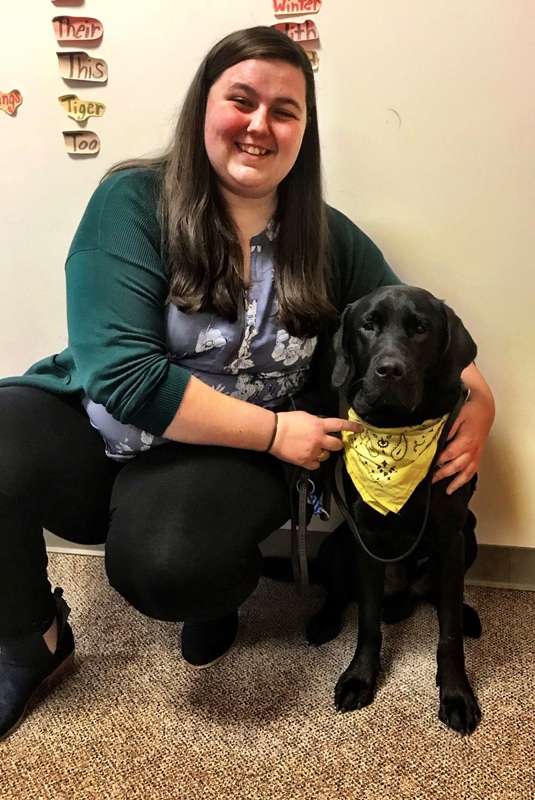 Sam is majoring in Childhood Education, and when she began student teaching this fall, she and her mentor teacher at Andover Elementary agreed it would be a good experience for the children to meet Chet. The first graders loved Chet, and he fit right in. Sam’s student teaching experience has been wonderful. She introduced ideas she had learned from her education classes at Alfred. Her mentor teacher valued the techniques and decided to keep them as part of her classroom even after Sam finishes. Sam plans on finding a teaching position somewhere between Alfred and her home on Long Island after she graduates this year.